Their names may be familiar at best today, but they were the A-listers of their time. Trend-setters to a generation. Entertainers—and friends—to dignitaries and presidents. 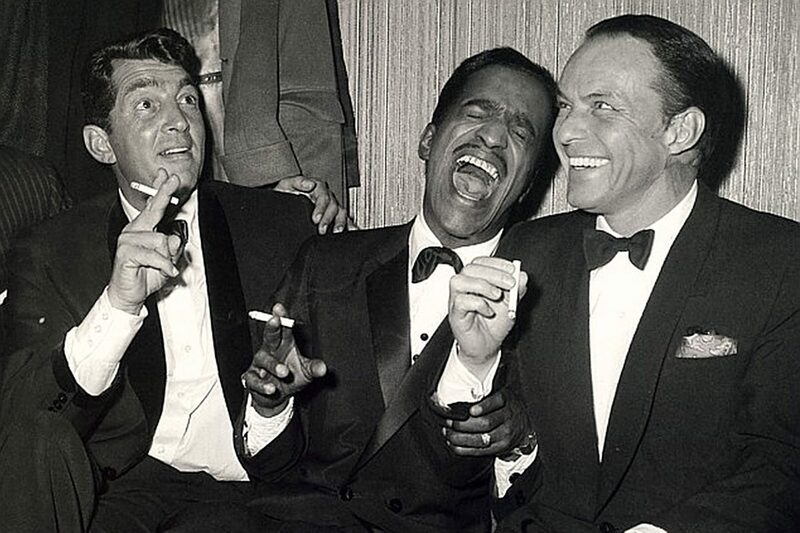 They called them the Rat Pack and their influence in American culture may be forgotten, but is still felt to this day. Give your guests a journey into 1960’s Hollywood with a ticket to your next event and an iconic theme: Rat Pack. 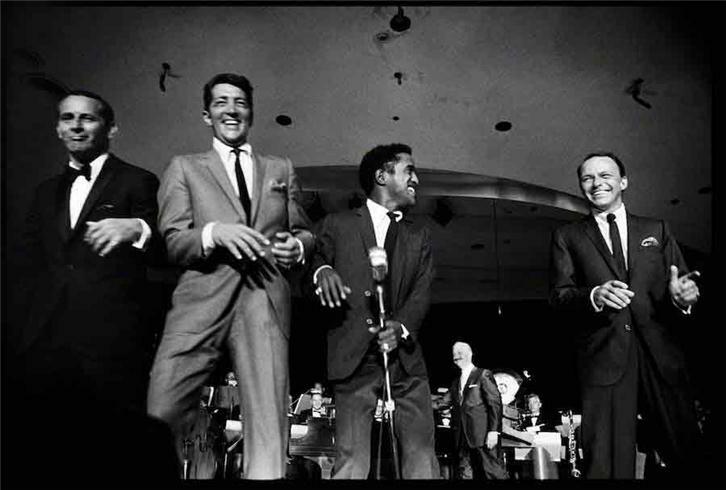 The Rat Pack was a national sensation, but no one place embodied their DNA more than Las Vegas. 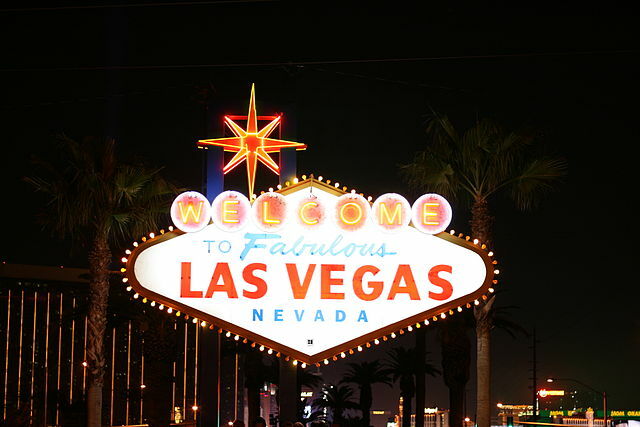 The 1960’s typography and lights of the iconic Welcome to Fabulous Las Vegas sign are your visual guide for your evening’s look & feel. Open bar? Cash bar? One way or another, there better be a bar. 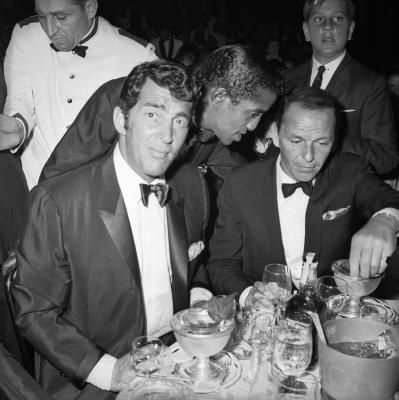 The martini is a familiar presence in the hands of the Rat Pack. Have your bartender or drink caterer craft a drink menu that uses the best of the 1960’s iconic drinks. A History of Drinks has a great roundup of Frank’s favorites. 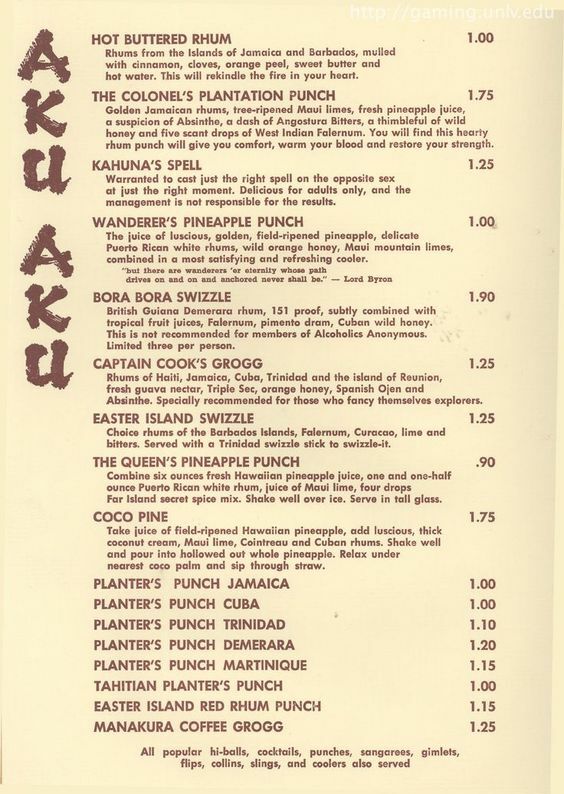 For reference, here’s a vintage menu from the Stardust Hotel. For big impact, serve small food. Picture a party at Dean Martin’s house. What do you see? 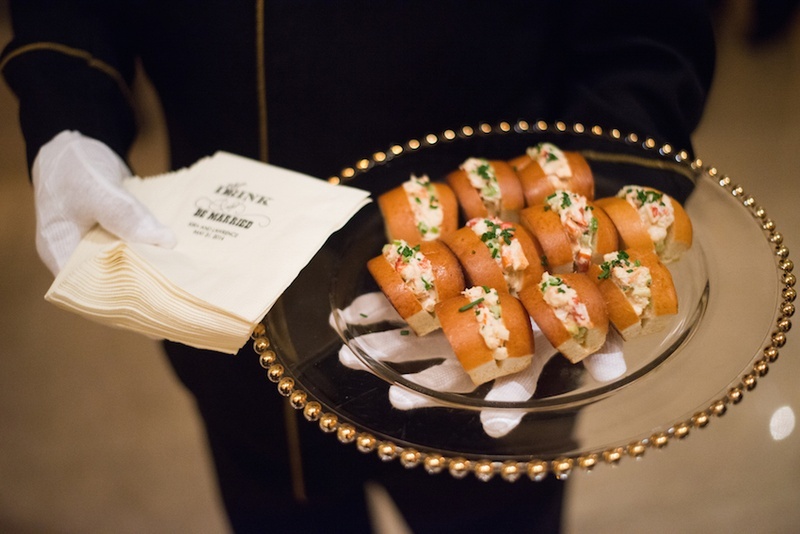 Here’s what we see: hors-d’oeuvres served on passed trays, with waitstaff dressed to the nines. Stuffed mushrooms, crudite, and finger sandwiches make their way through the crowd, one after the other. There are two words we love: heavy hors-d’oeuvres. Ol’ Blue Eyes is in the house. Off all the senses, this is a theme for the ears. This is Frank Sinatra’s group we’re talking about, after all. Hire a great cover band, or work with an event planner to secure musical entertainment. Then set the stage, literally. Word to the wise: a velvet curtain will go a long way. Get your hands on some neon, too. Any neon. Send them off with cigars. Whether Cuban or chocolate, a parting gift of cigars will send your guests off with one final serving of 1960’s nostalgia. 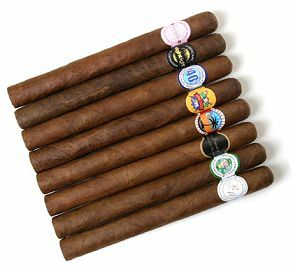 For an added touch, have the cigar bands custom-printed with your logo.